Massive changes are at play across New Zealand’s energy sector, from the way power is generated to the way it is distributed, accessed and promoted. We are witnessing the transformation of one of New Zealand’s most crucial infrastructure industries – a change that brings disruption and opportunity in equal measure. Like energy itself, the sector is constantly moving. But where the industry of old experienced incremental change, today it’s about keeping the lights on in an incredibly fast-paced and unpredictable environment. As the field transforms and decentralises in response to a complex combination of megatrends and local dynamics, the challenge for employers and educators is to not only keep pace but to constantly look ahead to where the technology is going, and how it is affecting the sector day to day. Collaboration and industry connections are invaluable. We are working with employers and energy specialists to understand where the pain points are, and tailoring our energy qualifications to ensure they are relevant for people at all levels. We work alongside Energy Industry employers to design nationally recognised qualifications that meet industry demand. Most of these provide a structured pathway to professional registration, which you’ll need to work in the Energy Industry. GENERATIONBe part of the energy makers. From hydro to thermal and geothermal, wind turbines and natural gas, working in power generation is exciting and rewarding. Learn about the high-tech and large-scale equipment that keeps power flowing. TransmissionGenerated electricity flows in large quantities into transmission lines and through to substations. Electricity can’t be stored, so Transpower makes sure the amount of electricity being generated is in balance with customer demand. Learn about the national grid. DistributionDistributors own, operate and maintain the networks of overhead power lines and underground cables. Some distributors also include fibre-optic cables, which carry ultra-fast broadband. 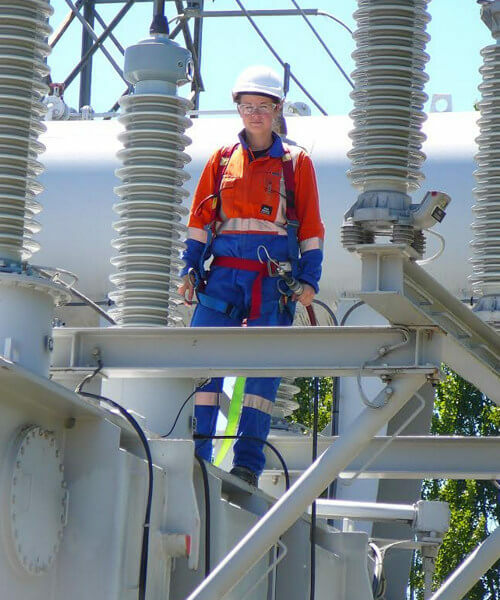 Learn about the power journey from substations to customers. RetailRetailers supply and sell electricity to consumers. They’re the first point of contact for arranging electricity and telecommunications at home or business. They also carry out meter readings and send out bills. Learn about the customer service end of the energy continuum.